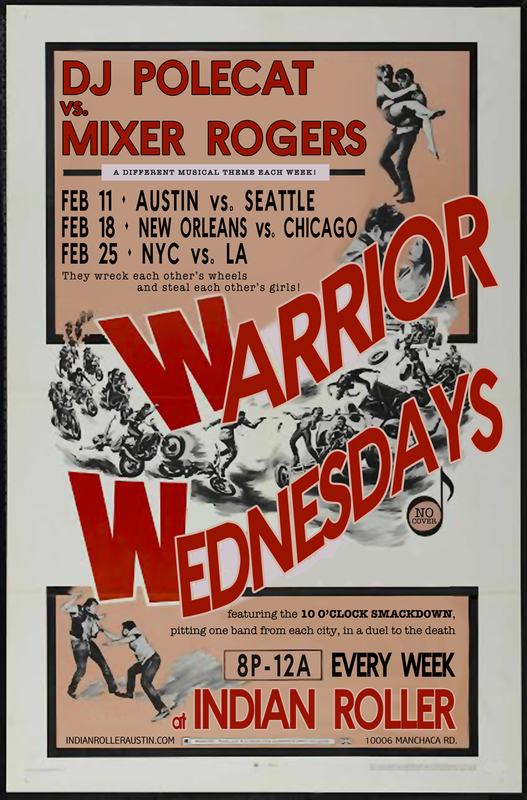 featuring DJ Polecat (Will Rhodes) vs. Mixer Rogers. 8pm-12am. Way South. EVERY WED. The Amarillo boys will duke it out in a DJ Battle for the ages. Each week has a new theme. For the month of February, we will be doing a city vs. city theme. Will takes one city and Cam takes the other. Fun and hilarity ensue. Every hump day. NO COVER. Drink specials. GOOD TIMES. Come hang out with us.